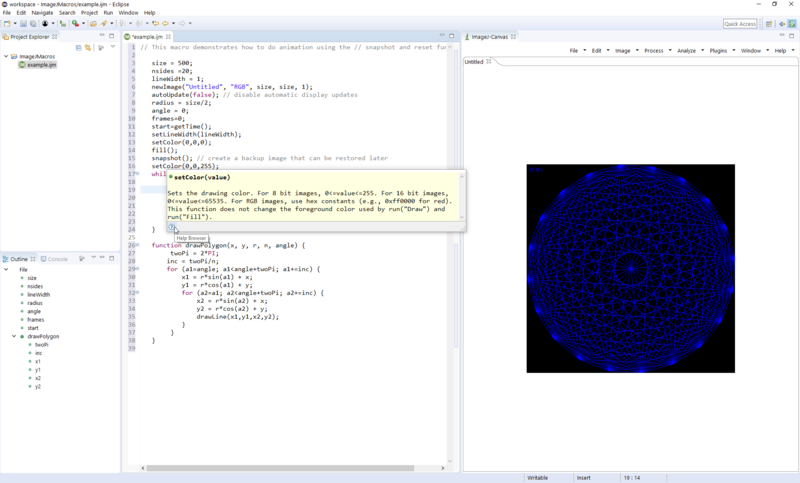 This plugin integrates the scientific image application ImageJ in an Eclipse view and is also part of the Bio7 application (http://bio7.org). ImageJ is an open source image processing program designed for the analysis of scientific multidimensional images. Supported ImageJ images can be opened and analyzed in multiple view tabs. ImageJ Plugins and macros are supported, too and can be installed in the plugins subfolder or the install location defined in the preferences. Furthermore a full featured ImageJ macro editor is available to script image analysis tasks within the Eclipse environment which can be opened together with the ImageJ view in an available ImageJ perspective. In this relase a macro editor and ImageJ perspective have been added to the ImageJ plugin. In addition the menu of the ImageJ plugin is now right assigned and the toolbar resizes dynamically. 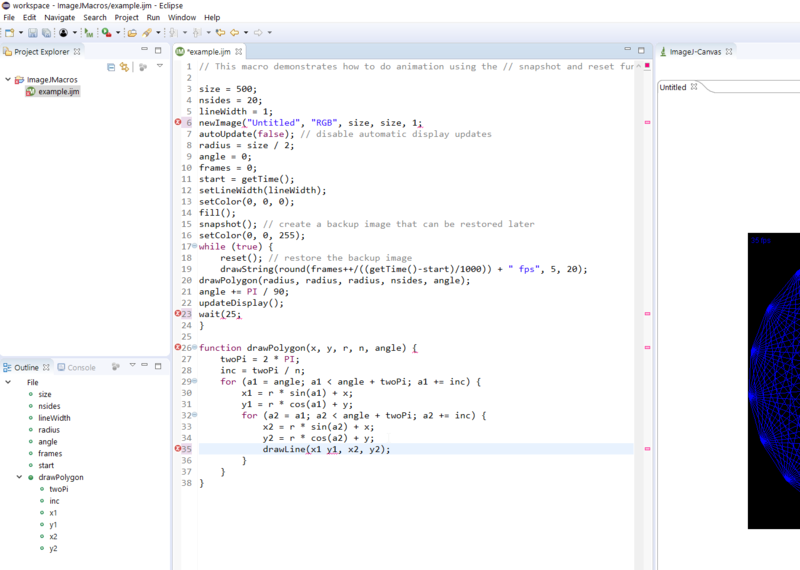 Automatic closing of braces, parentheses and strings Automatic indention of functions,loops, etc. * Added a fake editor to register and open standard image files from the Navigator or Project Explorer, etc in the ImageJ view. By adding the following code below to your website you will be able to add an install button for ImageJ Plugin.